In this article, we would set up the Hyperledger composer development environment for developing and deployment of the Business Network Archive. By the end of this article, you would be fully geared up with all requisites and tools to progress further. Setting up the Hyperledger composer development environment. Ubuntu and MacOS are the best supporting operating systems for Hyperledger composer development environment. For Windows users, it is advisable to install virtual-box and then install Ubuntu on top of it for the development purpose. There are guides and tutorials for Windows users and I would also update those procedures in due course of time. For now, in this article, the procedures for MacOS and Ubuntu are enumerated below. Step 5:- Install VSCode editor from this link. Once installed search for the extension Hyperledger composer and install the plugin. This completes the installation of the pre-requisites! Note:- The Composer version 0.20.x is the latest build and will be installed as default, but I would be installing composer version 0.19.x as the enterprise fabric version (1.1) is compatible with composer 0.19.x and would allow in smooth flow in development and deployment. This completes the second phase of the setup! Once the installation of the Fabric is done it would be easy to test the access control rules and business networks. 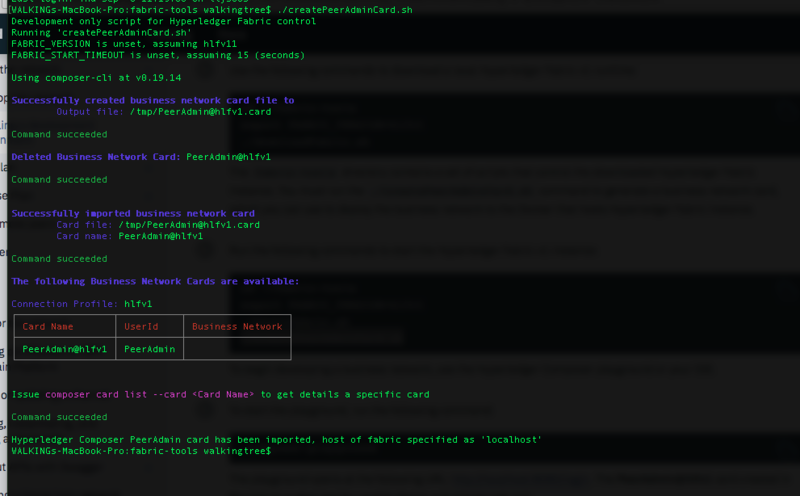 The ./createPeerAdmincard.sh command is used to generate a business network card, which you can use to deploy the business network to the Docker that hosts Hyperledger Fabric instance. For the first time, we need to create the PeerAdmin card. This completes the final phase of the setup! 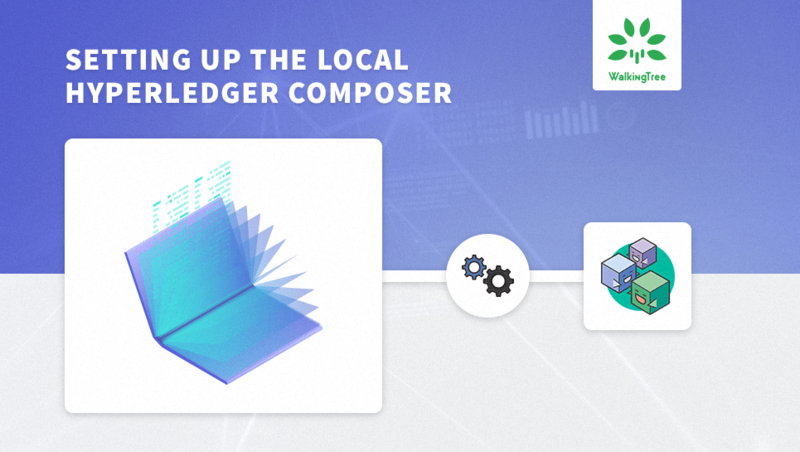 In this article for the local setup environment, we divided the whole procedure into three phases, wherein the first phase we installed the pre-requisites which are essential for the Hyperledger composer development environment. 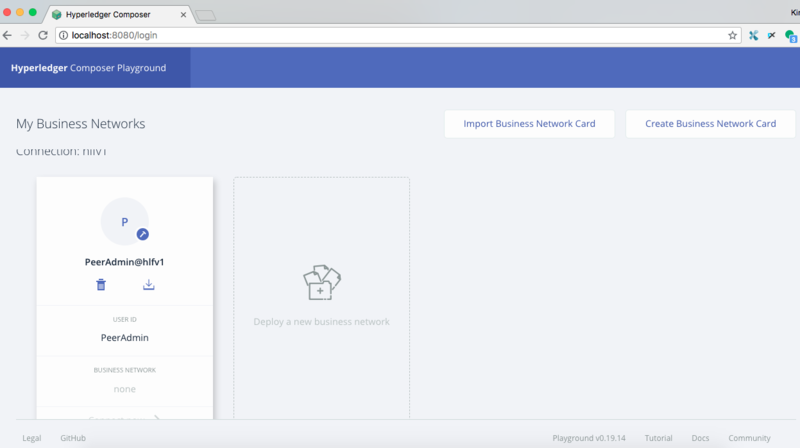 In the second phase we installed the CLI tools and in the third phase, we installed the local Hyperledger Fabric instance which along with docker running will aid in the developing the Business Network and can be tested in the local composer playground.